In August 2018, LG Display announced that it sold over 1.3 million OLED TV panels in the first half of 2018 - and it plans to produce over 1.6 million panels in the second half of the year, to reach a total of 2.9 million panels in 2018 (up from 1.7 million in 2017). 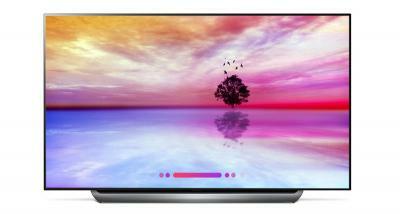 According to a new report from Korea's Kore1-News, LG Display is now aiming to produce around 2.4-2.5 million OLED TV panels in the second half of 2018, to a total of 3.7-3.8 million in 2018. The new report does not mention how LGD aims to increase its capacity so much as no new capacity is expected to come online in the second of the year. LG Display's current capacity of its 8.5-Gen production line in Paju is 70,000 monthly substrates. Once production starts in its Guangzhou 8.5-Gen fab towards the end of 2019, LGD's capacity will be around 130,000 monthly substrates.